I, the Lord, speak only what is true and declare only what is right. “What is truth?” Pilate posed this question to Jesus before sentencing him to be crucified (John 18:38). Ironically, the Truth was right in front of him and he didn’t even know it. Jesus told his disciples, I am the way and the truth and the life (John 14:6). 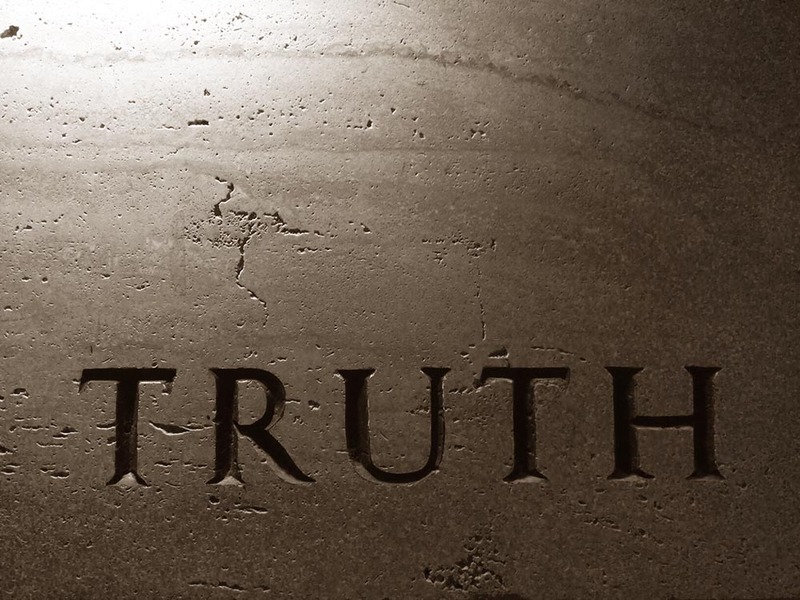 Everything Jesus said or did exemplified the truth because he is truth. Jesus wants us to know what is true and what is not. In Matthew alone, Jesus said I tell you the truth thirty times! God the Father said, I the Lord, speak only what is true and declare only what is right (Isaiah 45:19 NLT). Jesus called the Holy Spirit the Spirit of truth (John 16:13). If God the Father, God the Son or God the Holy Spirit says something, we can know it is true. What about the other parts of the Bible? Two apostles of Jesus addressed the Bible’s trustworthiness. Paul wrote in 2 Timothy 3:16 that all Scripture is God-breathed. God’s Holy Spirit inspired the people who penned the Bible. Peter asserted, above all, you must understand that no prophecy of Scripture came about by the prophet’s own interpretation of things. For prophecy never had its origin in the human will, but prophets, though human, spoke from God as they were carried along by the Holy Spirit (2 Peter 1:20-21). Since Scripture is true and originates from God, we can use it to determine what is true. There have been times I was convinced I was right. I could even argue my case. But, while reading the Bible, I found that my thinking was faulty. I had a choice. I could continue in defiance or accept the truth of God’s word. Ignoring the truth is to my detriment. There is a way that appears to be right, but in the end it leads to death (Proverbs 14:12). Thank you, Lord, that we can rely on you and the truth of your word.